Like most skills, you can never know too much. Driving is an important skill that allows us to not only get where we need to be but to also travel the country and even the world. For this reason, it is always a good idea to find ways to improve your driving skills. This will make you a more competent and safer driver. Here are a few great tips that can help you improve your skills behind the wheel. Everyone should enroll in an online traffic school or undergo traffic safety training in San Juan Capistrano CA. There are different kinds of classes that you can do. 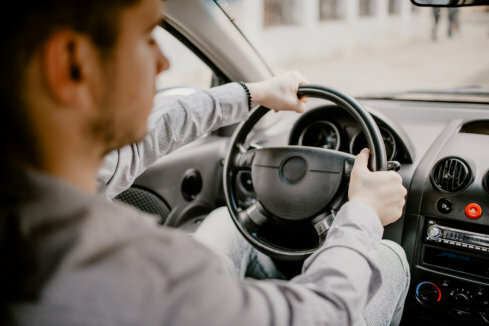 Some classes teach you the basics, while others will teach you more advanced techniques such as defensive driving or driving in extreme conditions. Some of us are guilty of driving with only one hand on the wheel but it is important to keep both hands on the steering wheel. This will ensure that you can react quickly to an unexpected situation, ensuring that you have full control over your vehicle. You may find yourself creeping up on smaller cars in traffic but this can be dangerous. Unless you are going to execute a safe overtake, it is important to maintain a good distance from the car in front of you. The distance will depend on the speed. This is necessary because if something were to happen to the vehicle in front of you, the extra room will give you a few more seconds to react and avoid the situation. These are just a few effective tips that can help every driver. If you would like to find out more about this or if you are interested in our safe driving school in CA please do not hesitate to get in touch with AODD’s Online Traffic School for more information today. We are here to help you learn the skills needed to be a proficient and safe driver no matter where you go. This entry was posted in Driving Tips and tagged Driving School, Full Control, Proper Distance. Bookmark the permalink.